For lovers of European art and antiques – here is some of the information I wrote for an article in International Living Magazine. 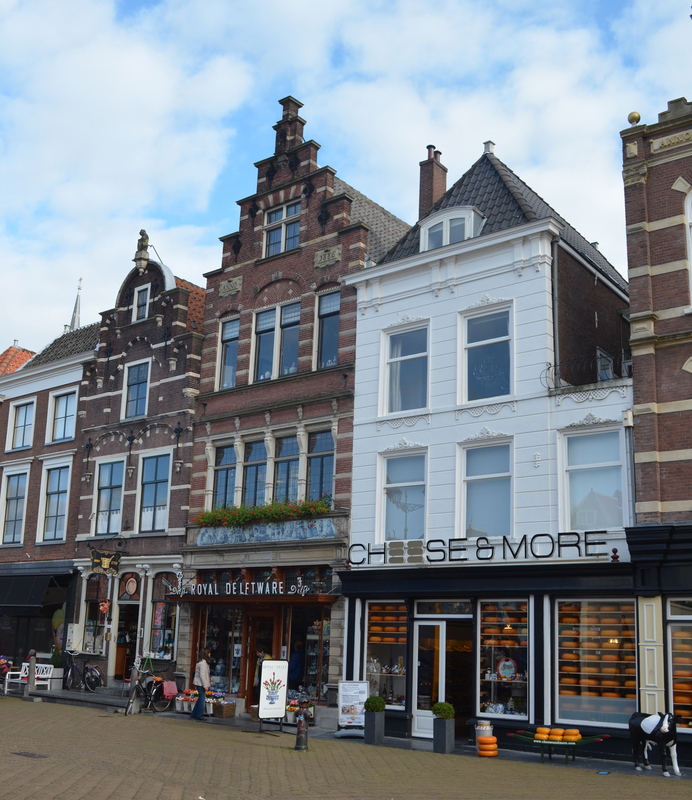 The town of Delft in South Holland, which produced celebrated artists such as Johannes Vermeer and Pieter de Hooch, is also the home of many Delftware artists who make some of the world’s finest earthenware, a traditional product of Delft since the 16th Century. You’ll find delftware in every Dutch home – this iconic blue and white Dutch porcelain is not just a souvenir of Holland, it is a work of art to take home and buying the delftware is a rewarding way of supporting local industry. These beautiful pieces are made of a blended clay; glazed in white; hand painted by Royal Delft certified artists with metal oxides and then fired in a kiln. The pottery is usually white and cobalt blue, coloured delftware and black and white pieces are also available in most of the shops and factories in the city. Items made in Delft are usually kitchenware, vases, tiles and various object d’art. Basins and even toilets are made from delftware. As with other artworks, there is wide range of prices and products of varying quality. Buyers have the choice of imitation delftware, modern delftware and antique delftware. If you are looking for cheap souvenirs and are not as concerned with authenticity, then the imitation Delftware is ideal. The fakes, once you examine them closely, are easily recognisable by the printed designs – one can see dots from a computerised printer forming the designs instead of brush stokes. Mass produced, fake Delftware is a low quality porcelain made in China and doesn’t have the same luxurious sheen as Delftware. The benefit here is the price: $2.5 for a fake fridge magnet, $27 for the equivalent in Delftware. 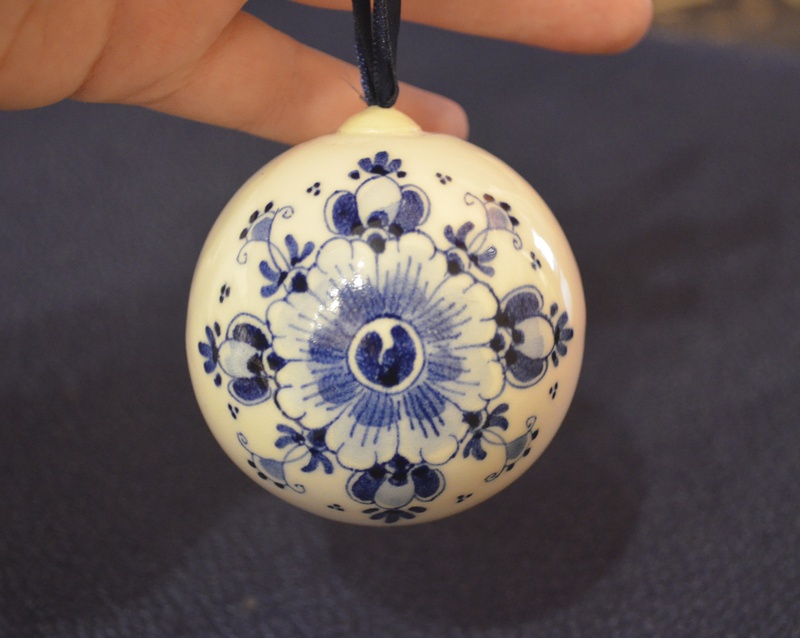 Some of the fake Delftware Christmas tree ornaments are quite beautiful. 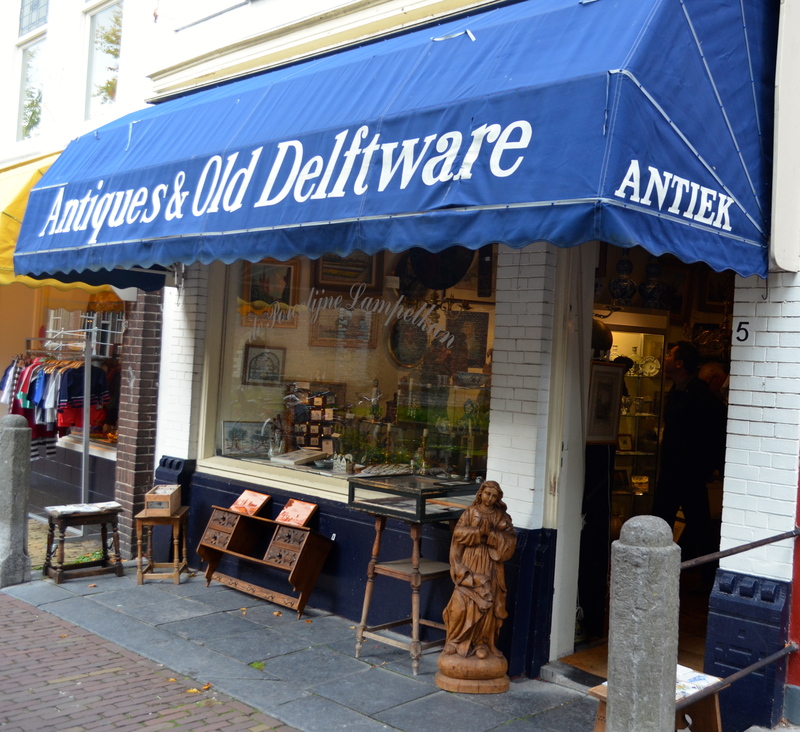 Original delftware pieces are sold in shops all over Delft. Simply walk into any shops that says “Delftware” and choose your piece. Each hand painted piece is unique, created by a Royal Delft trained artist and comes with a certificate of authenticity. Tiles go from around $54; decorative dinner plates are $95-205 each, depending on the workmanship. Christmas tree ornaments are popular gifts for $50-68 each. Most modern pieces are decorated with Dutch scenes such as boats, flowers, windmills, and landscapes and children. Visiting the earthenware factories such as the Royal Delft (Rotterdamseweg 196, Delft) is a rare opportunity to see the artists in action. The factory has been in operation since 1653 and has its own museum and warehouse, which charge a small fee to visitors. Admission to the factory shop and cafe are free. My favourite factory is Da Blauwe Tulip, or “The Blue Tulip” at Kerkstraat 12, which is a tiny factory shop founded in 1997 by young, highly skilled delft artists. The three craftsmen who work there sit at the door, painting intricate designs on each piece of porcelain that they sell .You can see the kiln and many works in progress at the back of the shop. Every product in Da Blauwe Tulip bears their trademark. 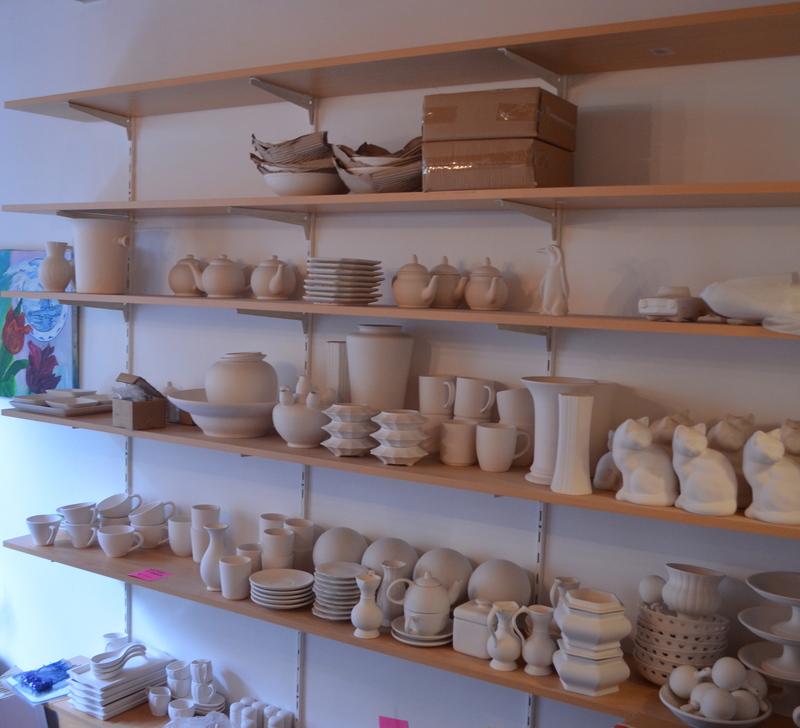 Next door to Da Bleuwe Tulip in Kerkstraat is De Candelaer, another high-quality factory shop. Antique Delftware is ubiquitous in Delft. Being used for so long and in such quantities, the antique tiles are not much more expensive than the new ones. As with all antiques, prices depend on the condition of the item. Tiles with a more common design such as flowers, mermaids, children, birds and soldiers cost around $50 in reasonable condition. I found some rarer tiles in excellent condition with more whimsical designs such as mythical sea creatures, Chinese men and beautiful birds can go for $95 each. Some of the tiles still have cement on the back of them where they were chipped off a wall. Some of the cheaper antique tiles. There are certainly gems amongst them. One benefit of buying older Delftware is that the dealers are open to negotiation, especially if you are buying several pieces. 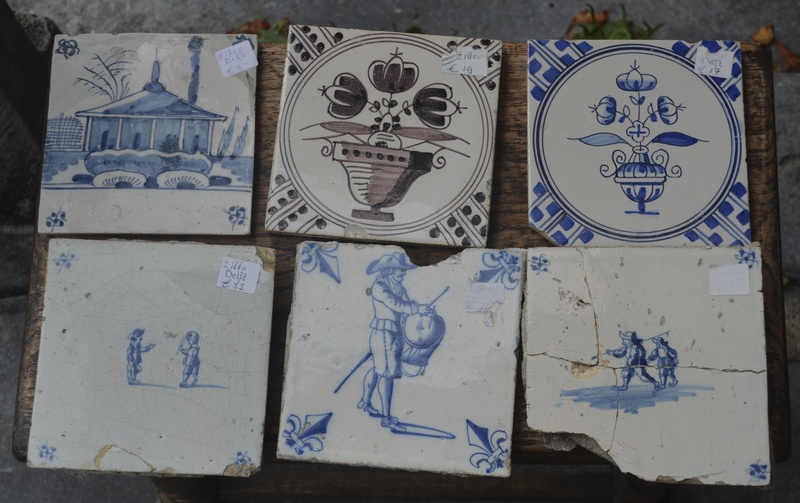 Tiles sell for $20-100 each and other items, such as vases and plates are upwards of $200 for objects in good condition. Charles and Ted Van Geenen are the brother who operate Van Geenen Delft – a shop near De Blauwe Tulip: turn left as you exit the shop, cross the bridge and you will see an antique shop with a blue awning. This shop specialises in 16th, 17th, 18th and 19th century tiles. Other antiques, delftware and otherwise, can be found at Koos Rozenburg Antiquiteiten, Markt 2, Delft. 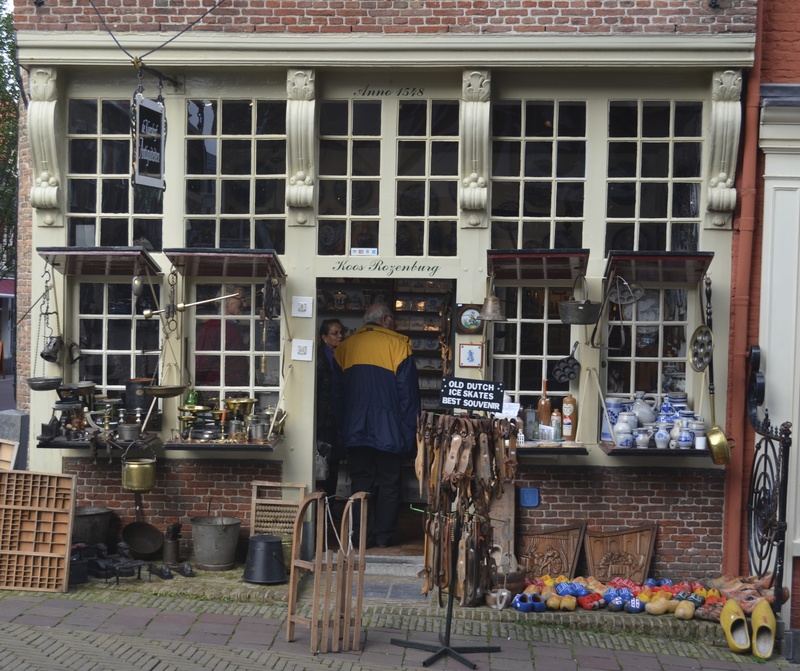 The shop is housed in one of Delft’s oldest buildings and has an amazing collection of antiques. The shop is in the centre of town and easy to find. If you were looking for antique clogs and ice skates, we’ve found the place! Delft is easily accessible from Amsterdam – trains depart every 30 minutes from Amsterdam Centraal Station to Delft Station. The journey time is about one hour.